BRETON SENTINEL is the complete solution that automatically gathers and processes manufacturing data from the shop floor in real-time. 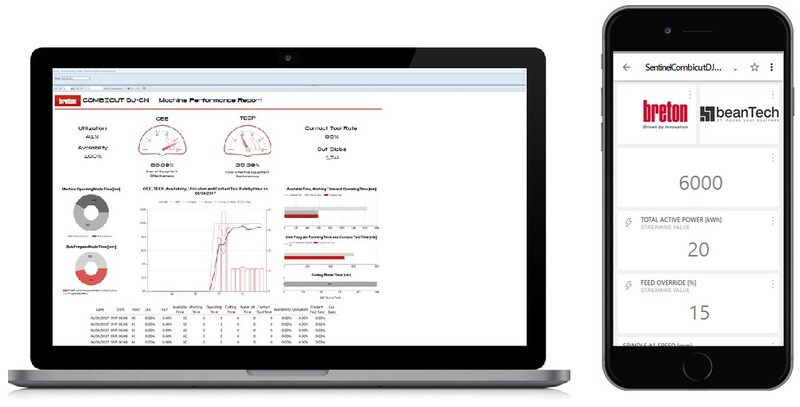 Easily generate reports and charts with automatic calculation of OEE (Overall Equipment Effectiveness), TEEP (Total Effective Equipment Performance), cycle time, idle time, downtime and more. SENTINEL features real-time machine monitoring with Live Screens and has a fully customizable Operator interface for entering downtime reasons directly at the machine. The SENTINEL software is highly flexible and easily customized to fit your current and future data collection needs. Since SENTINEL is a networked solution that stores data on a central server you can monitor production from multiple locations and access the data from anywhere. One of the unique features of BRETON SENTINEL is the Live Screen feature which provide a great status overview for the machine. Live Screens are normally displayed on large TV screens so that all personnel can easily see the status of each machine. However, Live Screens can also be displayed on smartphones, tablets, and touch screens using the PowerBi Web Client and can thereby be viewed on any device with a browser and internet connection. Check and control tooling cost issues: SENTINEL can provide accurate reporting of machine tool efficiency on any job. Collecting production data and the feed rates: In BRETON SENTINEL data is structured and visualized as reports. You can setup SENTINEL to generate both real-time and historic reports based on the data collected. The majority of companies only want to know if a particular machine is running and producing parts or if it is stopped. With a basic data collection setup SENTINEL can show the amount of time the machine has been in production and the amount of time allocated to downtime. SENTINEL also supports dynamic reporting where data is updated in real-time. Scheduled maintenance is monitored continuously giving expiration data in order to manage it and giving operator help as well. The AGE of connection is gone, now you must be interconnected! You can call it Industry 4.0, smart factory or anything else but it’s a real revolution! The IV industrial revolution comes after steam invention, electric power and computers. If correctly managed it’s a great opportunity for the industry. Working will be easier and safer for the operators, the machines will cooperate between each other, giving more time to concentrate on innovation and competitiveness. Breton can offer a complete software suite to let you and your company jump into the new era! 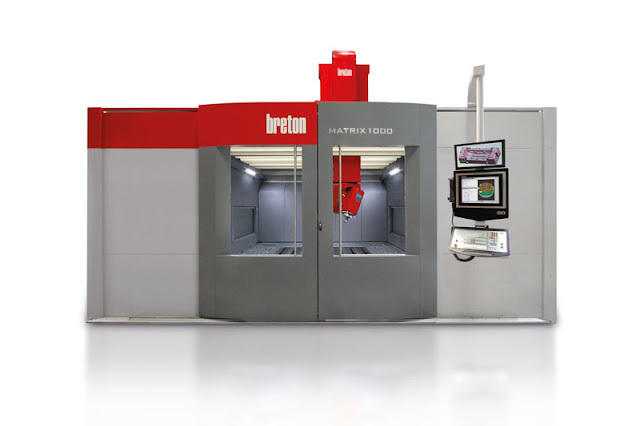 Breton Naviman and Breton Sentinel have been developed not only to interconnect our machines but all your shopfloor! Another good news is that you can start with a very basic configuration to monitor the machines and than integrate the system step by step with additional apps. For more information write to mail@breton.it. The latest machine born in Breton, natural evolution of Ultrix and Xceeder family doubles the working area and reduces the footprint by 30%. 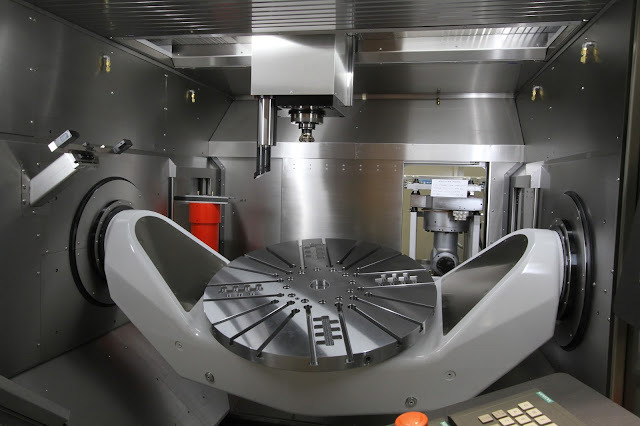 Breton thinks that this machine configuration is the best to machine aerospace engine components; the vertical spindle allow an easier piece setup, the trunnion table offers a better accessibility and can be used to remove chips rotating A axis. The machine has a great dynamic in order to guarantee high productivity also on 5 axis machining of aluminum components. The design is thermo-symmetric in order to reduce and better control structural deformations due to temperature effects. Of course all the heating sources are cooled to avoid heat transfer to other components. The machine basement is produced using Metalquartz®, a Breton patent, resulting in a structure better than a cast iron one from both rigidity and vibration dumping point of view. All the machine components involved in operators preventive maintenance are grouped in an easily accessible area. The tool change has the loading area in front of the machine, different types of tool holders (Capto, Hsk, …) can be automatically managed on milling spindle, turning bar or angular head. 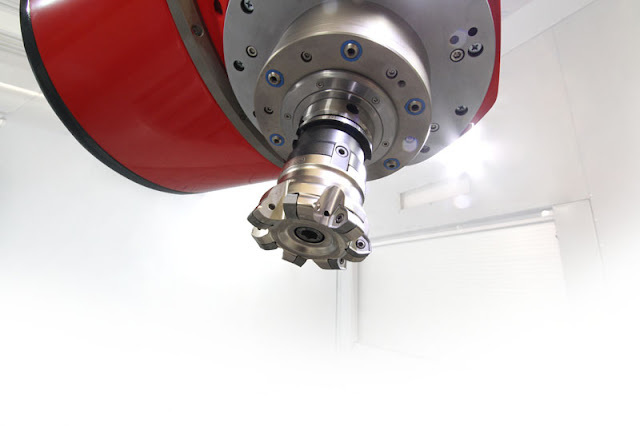 One or two angular heads can be stored in the machine back area, loading and downloading is automatic and the assembly with the RAM is based on a hydraulic clamping allowing to transfer the full torque and power of the spindle. The tool change is automatic too. The CN can be adjusted in height and inclination in order to increase operators comfort. Piece accessibility has been improved allowing the operator to stay at only .6 in from the turning table. Machine roof can be completely opened to easily load fixtures and pieces. All the working area is covered with stainless steel creating a bright, easy to clean and anti-age result. Chip wear will be just history! All the axis are pressurized avoiding contaminations. The new structure is capable to support also heavy machining operations thanks to the innovative 600 Nm spindle and hydrostatic RAM version that increases even more the vibration dumping results. Also the turning bar performances have been increased thanks to the new available length of 17.7 in. It can be fitted with Capto C8 or HSK-T 100. The A axis is driven by two powerful torque motors and can be clamped using a double high torque brake, one each side. A torque motor too, up to 450 RPM and 4500 Nm, drives the turning table. 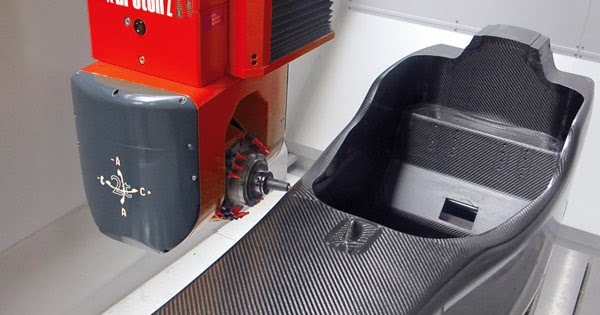 The new Ultrix 1200 EVO is the biggest existing of its type; they give to the user a piece accessibility never seen in the Aerospace market, even in the internal or the external part of the component allowing a productivity with no compromises. 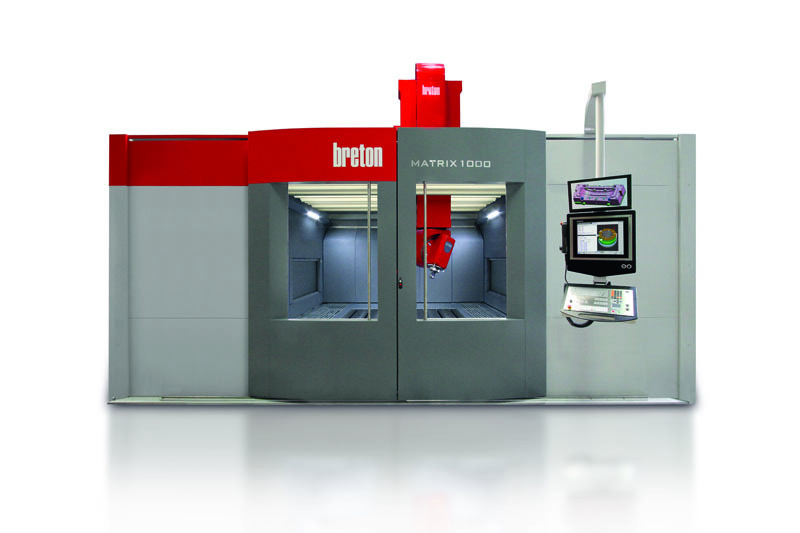 The name “Matrix 1000” is not new for Breton; originally intended for the mould&die market, it had excellent success over the years. 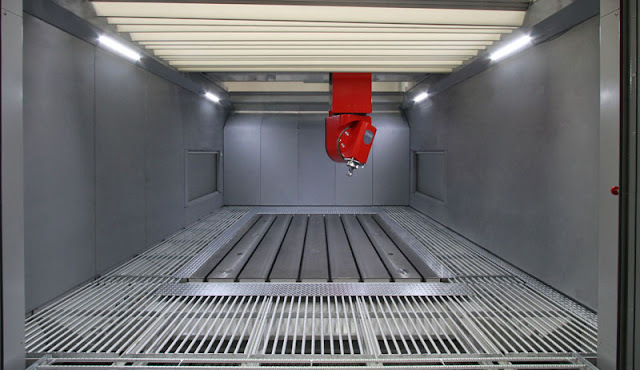 The machine has been completely redesigned to cope with changes in the market, thus maintaining only the name and the target sector; it now includes many new features that are required in other sectors such as aeronautics, precisely for its stiffness, accuracy and working envelope. Some of the ideas that contributed to the success of the previous Matrix 1000 have withstood the test of time, while others have been reviewed and updated. In fact, although it was designed for mould&die makers, it has been particularly successful also in the aeronautical world. 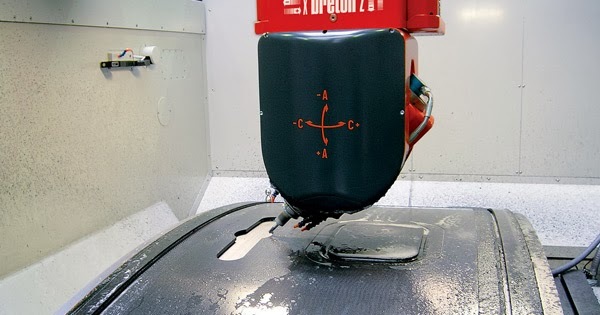 Some solutions designed for modularity have an impact on costs so, the machine concept has been redesigned, keeping the good points of the previous versions, simplifying where possible and ensuring the interchangeability of the accessories such as different choice of milling heads so that the machine can be better used in the aerospace sector. Who better than the final user can say what a specific sector needs? Breton passed from a top-down approach, where it offers solutions and features to the market, to a bottom-up approach, where it is the market that guides the new model development. 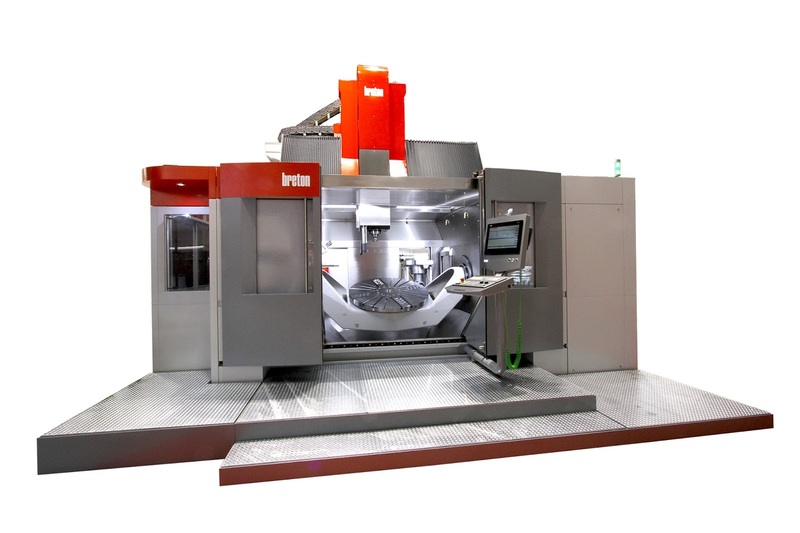 Therefore the new Matrix 1000 was born from the requests of the mould&die market. The approach is simple: the travels were based on the largest workpiece that is generally machined in the mould&die sector, such as car bumpers or dashboards. The design then started from the simplest things, that normally are considered unimportant but are required in all workshops (ergonomic access to the working area or easily cleanable working area from chips); then, it moves on to more complex aspects (greater structural rigidity for significant removal or reduced thermal expansion). This approach could be described as a true user experience. There is another direct request from users: “it must cost less and produce more” - difficult to achieve, but not impossible. In fact, Breton designers were able to achieve better performance at a lower price. 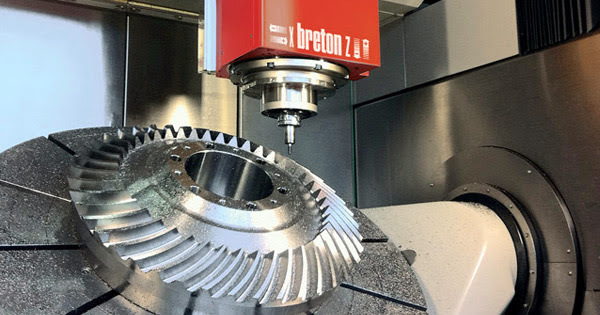 Among the new features that Breton has introduced into this version, there is the right angle head, particularly appreciated by mould&die makers. 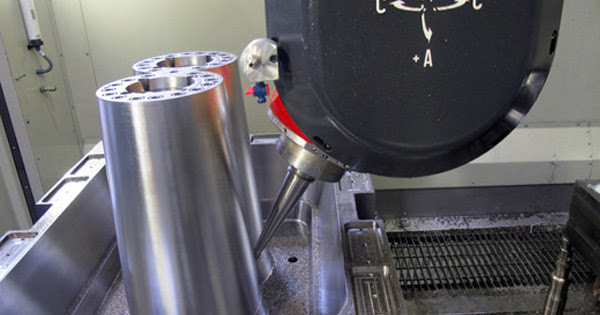 In fact, compared to a fork-type head, it can machine closer to the workpiece (therefore with shorter tools) or reach points that would otherwise be inaccessible by a forked head. Breton has given this head model distinctive features such as direct drive, safety brakes and encoders, as well as a case that resists bending and twisting as much as the forked one. Obviously, the right angle head is not an acceptable solution in the aeronautical sector, this is the reason why the forked head is still available. This is one of the features that makes Matrix 1000 suitable for such different application sectors. By default, Matrix 1000 is offered with Heidenhain iTNC 640 numerical control, but it is also available with Siemens 840D SL. An excellent job has been done in developing and engineering the machine; it costs less than the previous version, but at the same time it features better accuracy, performance and productivity. In fact, it has smaller footprint than the previous model, even though the axis travels are longer (300 mm more in the Y direction). Workshops often have problems with space, and sometimes this can be a key factor when choosing one model over another. Modularity is still significant: a fix size for the Z and Y axes and a choice of travels for the X axis, from 2500 mm to 4000 mm. Breton designers have provided a stainless steel cover for the internal working area ; this solution avoids the risk of “paint removal”. This is an added value really appreciated by machine users. Chip evacuation is another feature that users appreciate. 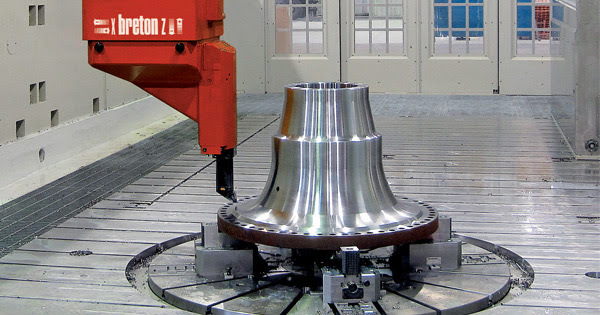 Unlike steel machining, aluminum produces a considerable amount of chips: machining aluminium rotary moulds means starting from large blocks and removing up to 80/90% of the stock material. In this case, being able to rely on an efficient evacuation system implies keeping the working area clean and preventing accumulation that can create future problems to the machine. For this reason, Breton has provided a front belt conveyor, which allows the doors to be opened easily, and two lateral chip evacuation belts that take the remaining chips to the front conveyor. Moreover, the rear wall is up against the table to prevent material accumulation. The stainless steel walls also protect columns and bellows, which remain clean and easy to wash. Installation time is a detail that means a lot to end users. For this reason, Breton has introduced significant improvements that have reduced the commissioning time by approximately 20%. The base version has a step to access the working area; in this way, it can be installed directly on the floor or industrial foundations, without the need for any contractor work. The machine just needs to be anchored, and it is ready for operation. This will be useful also in case the machine has to be relocated in the future. There is no need for foundation work to allocate the conveyor; moreover, all the cables pass through the machine. For those who prefer a solution with the work table at floor level (e.g. to enter directly with a forklift), it is possible to dig a pit to recess the work table. The chip evacuation system is positioned behind the front doors, with its way-out on the tool-store side (either right or left), while the operator can operate the numerical control panel on the front side. The tool-store and the chip box are accessible from the machine side, so there is no need to go to the back side. On one side, there is access for tool store expansion, with 30 positions in the base version, which can be doubled on request. These are values that are perfectly aligned with the needs of the mould&die making sector, where large numbers of tools are not required. Regarding usability, it is important to remember that the electrical cabinets need a safety distance from the other machines in order to be opened safely. In the new Matrix 1000 they are located at the rear, so that it can be installed 1 meter (40”) from the wall without running into operational and maintenance safety issues. An increase in removal capacity has been achieved by using a structure that has been designed and built to support higher cutting forces. Previously, the spindle could reach 100 Nm of torque, while the versions designed for this evolution can provide now a continuous torque of 160 Nm on a 18,000 rpm spindle. Alternatively, there are other spindle models with 100 Nm and 18,000 rpm or 64 Nm and 28,000 rpm. The columns, bridge and ram are structurally have increased the rigidity In addition to its stiffness (certified by FEM structural analysis), the new Matrix 1000 has a patented solution that makes it less sensitive to temperature variations. Together with a thermo-symmetric structure, this means an increase of its overall accuracy in all operating conditions. 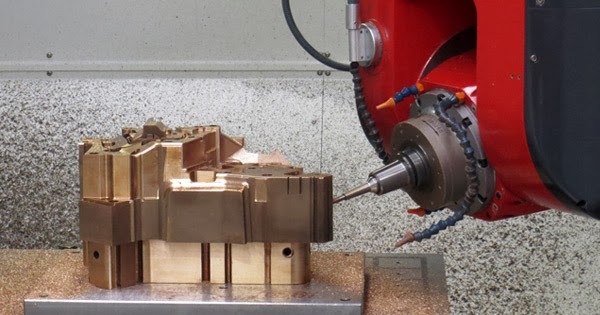 Another requirement of the mould&die sector is more robust tool tapers, both to support the increased removal capacity of the machine and to improve the operating conditions of the tools (as they are subjected to less vibration). For this reason, Breton has provided both the traditional HSK63 taper and the HSK100 version. Matrix is a gantry type with 4 motors on the master/slave X axis and backlash recovery; the Y axis is moved by a recirculating ball screw, while the Z axis has two recirculating ball screws without balancing, which increases reactivity during machining. A ram with hydrostatic guides, a solution that dampens vibrations even more effectively, is available on request. The rotary axes use torque motors with encoders, while for the linear axes, Breton preferred to stick to a more “traditional” solution, which still ensures high performance levels; ballscrews and racks ensure up to 5 m/s2 and 50 m/min, without the problems associated with using linear motors (consumption, complex cooling system design, etc.). Breton deals with temperature variations in a special way; within obvious limits, the machine can be hot, and must remain so. The important thing is that this temperature variation is gradual and controlled, so that the thermo-symmetric structure can adapt. To achieve this result, the structure has special insulation; if there is a sudden change in outside temperature, e.g. of around 5 °C, the machine opposes this change and takes much longer to heat up and therefore expand. This idea is already well known in the construction industry, where thermal cladding is used to make buildings more efficient by keeping the temperatures as stable as possible compared to the outside. The temperature difference between the sheet metal panels that make up the machine is 0.2 °C, a very small values that can be managed by the passive (thermal cladding) and active (electronic) compensation systems in Matrix 1000. In addition to the temperature sensors placed in the main structure of the machine, there are also vibration sensors on the head already in the base version: when needed they stops machining to prevent any damage (such as is unexpected and excessive stock to be removed). As option an adaptive package is available on request, which varies the machining parameters according to the measured machine reactions (power consumption, vibrations, etc.). The spindle can be easily removed by undoing a few screws and using a quick cabling system. In this way, the user can change it quickly when needed (such as a collision or the requirement for different performance) and restart after a centering cycle. On request, Breton can also supply an automatic cartridge changing device.